The Prince of Wales visited Bristol today, beginning the day at The Prince's Trust Bristol Centre as the charity launched its 40th Anniversary Impact Report. His Royal Highness met young people who were learning about engineering through a stop motion animation project and a rocket building session with Major Tim Peake. 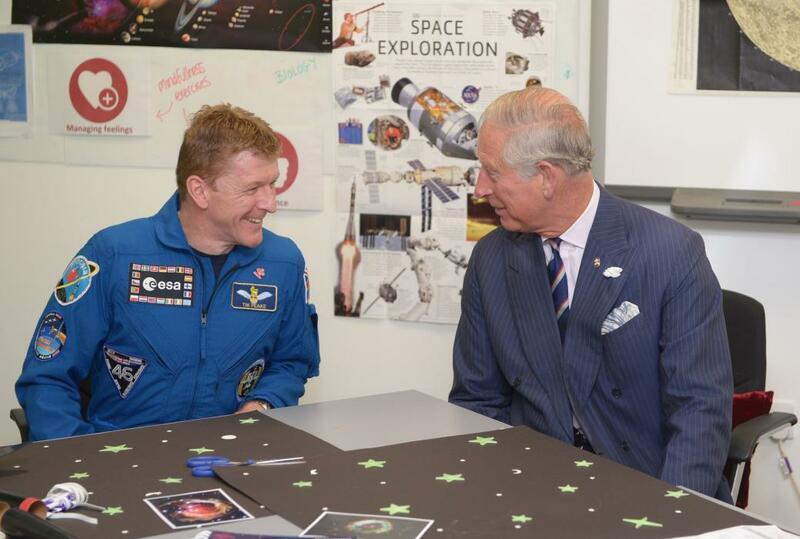 Astronaut Tim Peake is a Prince’s Trust Ambassador, and during his time in space The Prince sent him a letter via Twitter to thank him for his support of the Trust. Today, The Prince was able to thank Major Peake in person. Young people here at the @princestrust Bristol Centre are being taught how to make stop motion animation as part of their skills training. This animation was shown to The Prince during today's visit and stars @astro_timpeake! Founded by The Prince of Wales in 1976, this year The Prince’s Trust is celebrating 40 years of supporting 13 to 30 year-olds who are unemployed and those struggling at school and at risk of exclusion. The Prince of Wales also joined a group discussion where young people talked about the issues facing their generation in 2016. The Prince then paid a visit to the Penny Brohn National Centre and met staff, volunteers and those who have been helped by the charity. Penny Brohn supports those living with cancer, with a focus on diet, exercise and managing stress, and His Royal Highness has been Patron of the charity since 1997. Penny Brohn helps clients through courses, one-to-one therapies, groups, a treatment support clinic and a national helpline. Its Bristol Whole Life Approach looks at mind, body and spirit alongside medical treatment to support the body’s natural ability to heal. During the visit today, The Prince was able to meet people living with cancer who have been helped by the Whole Life Approach. Before leaving the centre, The Prince planted a tree to mark the visit, replacing a decayed Cedar of Lebanon tree. This 180 year-old tree has been an important source of comfort for many clients visiting the centre and the new tree symbolises the charity’s ongoing commitment to helping people with cancer in the UK.